Children struggling with impulse control, focus and self-regulation don't have years to get through trainings and therapies. They need to get help now to move forward and find success as quickly as possible. Now the leading voice in the children's yoga and mindfulness, Jennifer Cohen Harper, MA, E-RYT, RCYT, shares her proven, holistic treatment strategies in an intensive online course that will permanently transform your work with children and adolescents. Improve emotional regulation and increase attention with today's most effective pathways to healing. EARN UP TO 10.75 CE HOURS — Included in the price! No previous yoga or mindfulness experience needed. In this transformational course, Jennifer Cohen Harper, MA, E-RYT, RCYT, gives you time tested and well researched practices to help the children you work with manage impulse control, improve self-regulation of emotions, and enhance their ability to focus. Immediately apply these tools and strategies to your practice to solve these challenging problems in a holistic and strength-based way. Children with ADHD have tremendous inner resources to support their own well-being. In this bonus CE seminar, you'll master concrete, easy to implement practices that will help your clients develop their capacity for self-regulation and connect with their own strength. 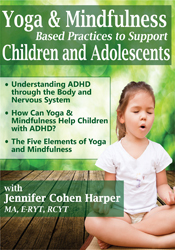 How Can Yoga & Mindfulness Help Children with ADHD? Our breath offers us a powerful tool that works directly with our nervous system in support of self-regulation. This free bonus CE seminar will teach you six time-tested, safe and effective breath-based practices to share with your clients and students. You will also learn modifications and considerations for children at different ages and address common concerns such as asthma and allergies. When children can’t cope, challenges become stressors, and anxiety replaces anticipation. This free bonus CE seminar offers concrete, easily taught practices to help your clients and students learn to access their inner resources, calm their anxiety, transform their relationship to stress, and thrive even when life is challenging. Discounted Registration is VERY LIMITED and ENDS SOON! 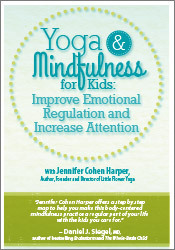 Jennifer Cohen Harper, MA, E-RYT, RCYT, is a leading voice in the children's yoga and mindfulness community, and the author of Little Flower Yoga for Kids: A Yoga and Mindfulness Program to Help Your Child Improve Attention and Emotional Balance, and co-editor of Best Practices for Yoga in Schools. She is the founder and director of Little Flower Yoga, a national organization based in New York, and The School Yoga Project, which brings yoga and mindfulness to schools nationwide, including directly serving over 5000 children a week in NYC alone. Jennifer is the board president of the Yoga Service Council and an active member of the International Association of Yoga Therapists. In addition to her work in schools, Jennifer leads a well-respected children's yoga and mindfulness teacher certification program, and provides therapeutic yoga classes to children and families. Her work has been featured in prominent publications including The New York Times, The International Journal of Yoga Therapy, Publishers Weekly, and Yoga Journal, and endorsed by thought leaders including Daniel Siegel, Sharon Salzberg and Congressman Tim Ryan. 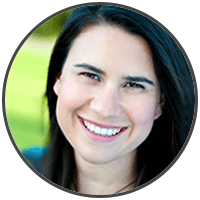 Jennifer is a talented presenter, offering powerful information in a practical, easy-to-implement format with warmth, humor and joy. Financial: Jennifer Cohen Harper is the founder/director of Little Flower Yoga and The School Yoga Project. She is a compensated author for New Harbinger Publications. Her work on yoga and mindfulness has been featured in numerous publications including The New York Times and the International Journal of Yoga Therapy. She receives a speaking honorarium from PESI, Inc. Nonfinancial: Jennifer Cohen Harper is the vice president of the Yoga Service Council. She is a member of the International Association of Yoga Therapists. Watch your email for your order confirmation, and get instant access to over 11 hours of video training on Yoga and Mindfulness featuring today's leading child and adolescent yoga expert, Jennifer Cohen Harper, MA, E-RYT, RCYT. Click here for course objectives and outline. Online message boards to collaborate with other professionals taking the course. You'll be part of a community of hundreds of professionals all focused on improving therapeutic outcomes. Complete your online CE tests and earn up to 10.75 CE hours — included in the price! Click here for total course CE Credit. Access to all materials online and video downloads forever! If you're not completely satisfied, give us a call at 800-844-8260. We’re that confident that you'll find this learning experience to be all that's promised and more than you expected. Don’t Delay. . . ENROLL NOW!